When I was a teenager I was becoming interested in analogue synthesiser music, and mentioned it to my father who was an electrical engineer. He told me that there was an instrument that predated the synthesiser, that you played without touching, and that he had the plans to build one from an old 1970s electronics magazine. I was super intrigued, so we built a theremin together (actually he did most of it and I kind of soldered a few things and asked a lot of questions). So I started with this homemade theremin made out of cake tins, which I used for noisy solos in my first rock band. I was predominantly an electric bass player at the time, but I became fascinated by the magic of the theremin and tried to find out as much as I could. This was 1996 in Hobart, Tasmania, the early days of the Internet, and there wasn’t much information around. I spent a lot of time in the computer lab at university trying find out what I could. Someone had given me a copy of Marilyn Manson’s Antichrist Superstar for my birthday, which I didn’t really like. I had a friend with very eclectic taste in music, and he had a copy of the Ed Wood soundtrack featuring Lydia Kavina on theremin, so I swapped with him. This was the first theremin music I owned, and tried to play along with it. I sounded terrible but I was hooked. A few years later I had an accident and damaged my left hand, which really messed with my ability to play bass, so I decided to put all my energy into the theremin from that point on. It was actually the best thing that could have happened, as over the years the theremin has taken me through so many amazing doors and allowed me to play with so many incredible people – I don’t think I would have been able to do any of this playing bass in a rock band. Years later I ended up travelling to the UK to study with Lydia Kavina. As I was walking up the stairs for my first lesson I thought back to 17 year old me trying to jam along with that Ed Wood CD in my parents’ lounge room, and was suitably freaked out / excited. After my Dad told me about the instrument we went online and found some audio examples. I was utterly enthralled and also surprised that the sound was immediately so familiar – like I had always know and loved it. As I did more research I realised I would have heard it on early sci-fi and horror movie soundtracks (I was a huge fan of these films) and attributed it to the almost subconscious way that audiences absorb screen music, but these days I think the theremin sounds familiar because it is the sound of a human’s body, detected electronically. I love the theremin because it is such a direct route to feeling through music. My musical philosophy as a composer is to be a channel for ideas and feelings to flow through and to communicate those ideas to others. I’m a firm believer that everybody in the world who has ever touched a musical instrument is a musician, regardless of their experience, and that the part an adult’s musicality that creates good music is the same part that a child uses when experimenting with the keys on a piano. Training and musical knowledge are extremely valuable and supportive to this creative cause, but it is that childlike playtime that generates the magic. For me the theremin is so important because it has comparitively little in terms of canon and precedent. Instrumental music has the capacity to communicate emotional content regardless of language barriers and rawness and fragility of the theremin allows for super subtle nuances of feeling to be relayed. 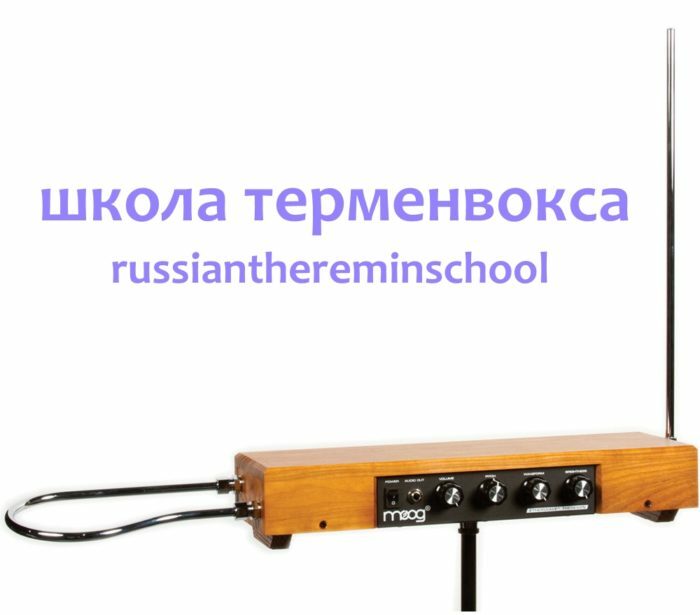 My mission is to further the tradition of the theremin as a lead instrument in a range of original musical contexts. I feel that writing for the theremin is vital to the development of its culture and musical legacy. For me the theremin is wonderful because it is so unusual. In a contemporary musical world where people compete so much to keep up with a status quo, it is fantastic to realise how rewarding it is to venture out into uncharted territory. Striving toward adequacy is boring, and everyone else is doing that anyway. The theremin is unique in that it takes so much effort to master, and there are so few of us trying to play it in a professional context. So much is still being worked out about where the instrument will sit in the modern musical space, and for me it is very exciting that we can all be involved in these early evolutionary stages of theremin culture. I think the short answer is – it can work in whatever context you place it. I have spent years touring with the instrument playing with super loud rock bands and experimental acts, and that has given me a lot of experience with what does and doesn’t work (both musically and technically) in those environments. Other players work in the fields of jazz and classical, and they have amazing knowledge of how the instrument works in those worlds. In the same way that every thereminist’s body is different and hence their strategies of playing can vary, so too our experiences seem to be wildly different. Between all of us I think we will be able to pool this information into a knowledge base that will make things easier for future musicians entering the theremin field (pardon the pun).